Our aim is to provide free, independent and inspiring advice to help you prepare for an amazing experience in Machu Picchu, Cusco and Peru at large! On this page, our getting started section, we have provided summary information on the most frequently asked questions by visitors and trekkers alike, as well as provided links to detailed articles within the site where you can find more specific information. Machu Picchu is the most famous and popular Inca archaeological ruin in the world. Over 1.2 million people visit ever year, many of which either trek the Inca Trail or one of the alternative trails to the ancient city. It is situated inside the Historic Sanctuary of Machu Picchu in the Cusco region of Peru and is a UNESCO World Heritage Site. In 2007, Machu Picchu was voted as one of the New Seven Wonders of the World. Built in the 1450s during the reign of Inca emperor Pachucuti, Machu Picchu is thought to have been either a country estate for the emperor, or an important place of worship. The exact purpose of the site is still unknown, though. The site is separated into an urban and agricultural sector, with clear structures that demarcate areas of important religious and royal purposes. Vast agricultural terraces surround much of the city. The terraces would have been used to produce food to support around 1,000 inhabitants. The terraces also played an important role in providing efficient drainage to mitigate the impact of landslides and earthquakes. Most of the city is constructed using the classic dry polished rock method of placing stone on stone without mortar, known as ashlar. To this day, we still do not exactly understand how the Inca managed to move and place such large stones with such precision. Contemplating this architectural ingenuity is at once humbling and mystifyingly beautiful. Other incredible structures within the Citadel include the Temple of the Sun, the Astronomical Observatory and the Intihuatana, which all point to an advanced understanding of the Sun and it’s planetary influences. Strategically placed between the saddle of two mountains – Machu Picchu to the south and Huayna Picchu to the north – the city provides unrivalled vistas into the valleys on both its sides, and would have been very difficult to attack due to its remote location and well-guarded access points of Inti Punka (the Sun Gate) and the Inca Drawbridge. It was so well camouflaged that the Spanish Conquistadors thankfully never found Machu Picchu. Nonetheless the city was abandoned during the second half of the 16th century, most likely due to the outbreak of small pox. Not much is known about the city from this period up until its rediscovery by a Yale Professor, Hiram Bingham, in 1911. It is however likely that local people occasionally visited the site and inhabited the area. Nineteenth century colonial documents mention the city and a 1874 map, prepared by a German engineer, uses the names ‘Machu Picchu’ and ‘Huaina Picchu’ to demarcate the ruin. After Bingham’s discovery the site gained international prominence as the ‘Lost City of the Incas’, a theory that Bingham incorrectly surmised and popularised in his bestselling book of the same name. Today Machu Picchu continues to represent a mysterious masterpiece of architectural and engineering ingenuity, and the icon of Inca civilisation. Trekking to Machu Picchu, either on the Inca Trail or via one of the alternative trails, is an unforgettable experience. The combination of awe-inspiring mountain ranges, diverse flora and fauna, and rich cultural and archaeological sites is hard to beat. Here are the main treks to Machu Picchu along with information on the alternative treks. The most popular trek to Machu Picchu is the classic Inca Trail, which follows original trails that the Inca’s would have taken from the Sacred Valley to Machu Picchu. 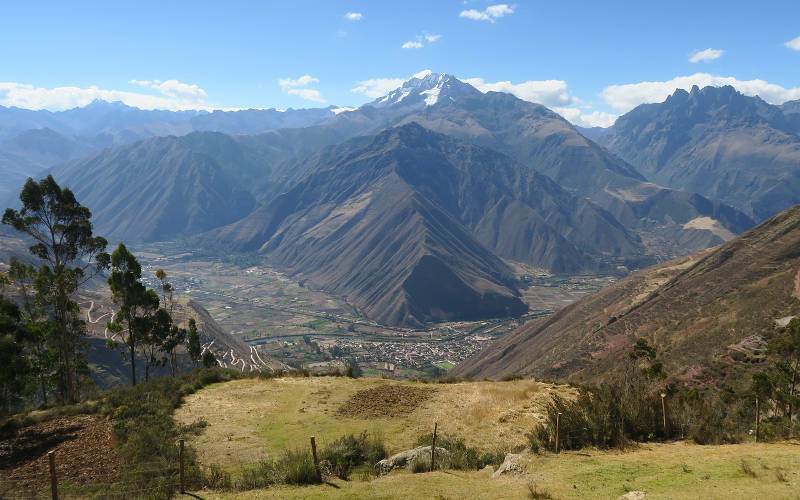 Along the way trekkers are treated to a wide variety of impressive Inca sites and stunning scenery. Due to its popularity and concerns over the impact of tourism on the Historic Sanctuary of Machu Picchu, the trail is limited to 500 trekkers a day (300 of which are earmarked for porters and guides). Securing a place on the Inca Trail means booking early is critical, particularly during the busiest trekking period in the dry season (May-September – see weather information below). If you are interested in doing a Classic Inca Trail trek, or one of it’s variants – the Short Inca Trail and the Salkantay / Inca Combo trek - click here. 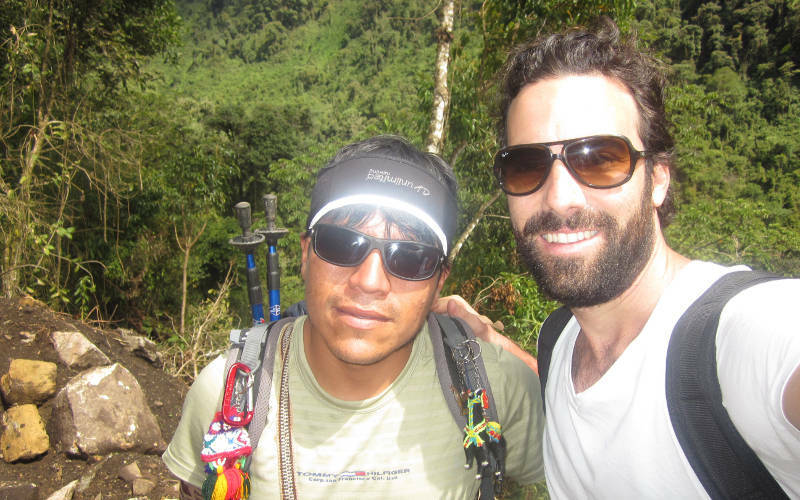 The Salkantay trek is a great 5 day / 4 night trekking challenge with incredible scenery. The highlight on the trek is Nevada Salkantay, the 6,271m iconic Andean peak. Salkantay trail is the second most popular trek in the region after the Inca Trail and was voted one of the Top 25 Treks in the World by National Geographic. The Lares trek is a less strenuous trail that provides unrivalled opportunities to interact with local Andean communities that have changed little over the past few centuries. It is the best cultural trekking experiences in the region. We highly recommend the Lares to anyone who wants to combine great scenery with culture. The Choquequirao trek is the longest and one of the toughest treks in the region, but super rewarding. 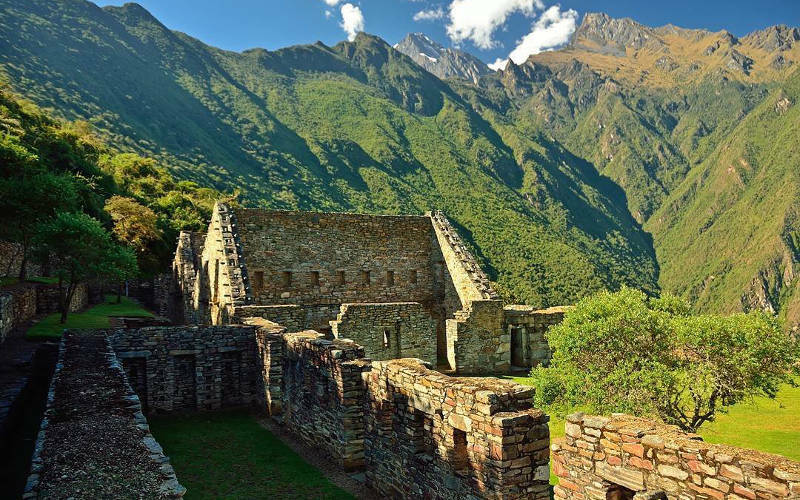 Choquequirao is an Inca site that is worthy of a visit on it’s own. Combined with Machu Picchu, this trek is fast becoming the ultimate archaeological trekking experience. 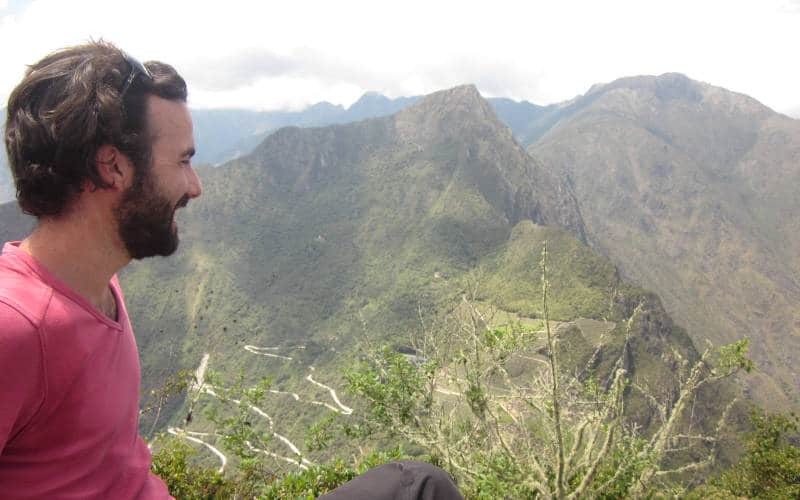 The Vilcabamba trek is an off-the-beaten path trek to Machu Picchu. On this trek you are guaranteed three things: absolute solitude, unbeatable alpine and jungle vistas and sore legs. Ideal for experienced backcountry trekkers who aren’t afraid of long and tough trekking days. The Inca Jungle trek is for the adrenaline junkie. It combines a massive 60km downhill cycle with trekking, zip-lining and river rafting. This trek is most popular with the younger generation and backpackers. The Huchuy Qosco hike is a short and pleasant trek to Huchuy Qosco (‘Little Cusco’ in Quechua), north of Cusco, in the Sacred Valley. 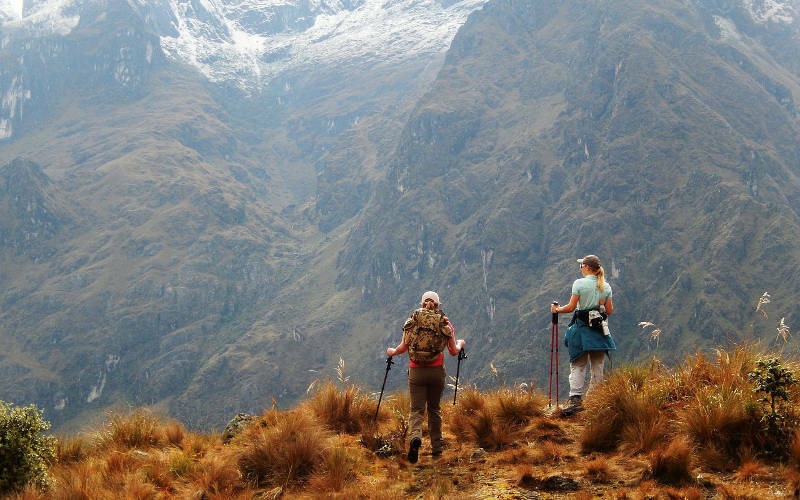 Ideal for visitors who would like to do a little trekking before hitting Machu Picchu. The Ausangate trek is a stunning hike through the wildest and rarely visited areas in Peru. 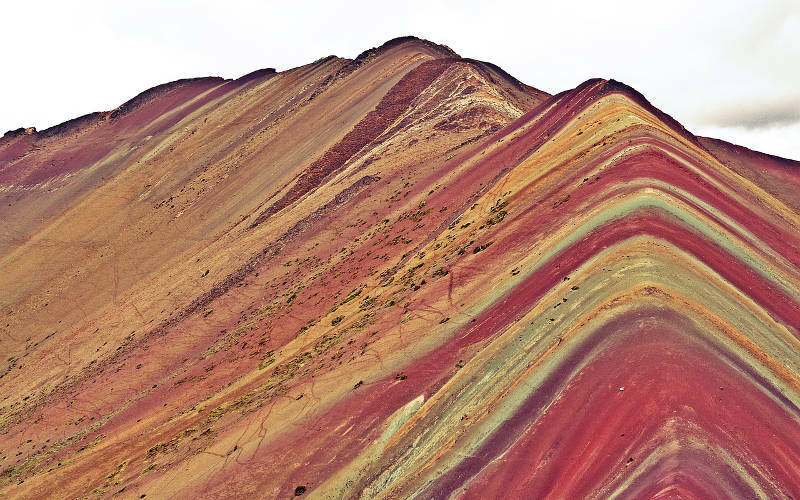 In recent years the trek has become particular popular with tourists looking to visit the Rainbow Mountains. There are ostensibly two main seasons in the sub-tropical Peruvian Andes – a dry season that begins around late April and lasts until late October, and a warmer wet season that begins in early November and ends in early April. The most popular time to trek to Machu Picchu is between May and September, as the likelihood of encountering rain is low. Trails are, however, busy at this time of the year and avoiding crowds within the Citadel, as well as on the Inca Trail, a challenge. The wettest months are January and February, and are not great for trekking. The Inca Trail is in fact closed for restoration in February. The best time to trek to Mach Picchu, if you are trying to avoid crowds and rain, is on the shoulder months of the dry season, April-May and Late September, October and early November. Temperatures tend to be very moderate and consistent throughout the year, with average highs between 25-28°C and average lows of 7-10°C. During the day the temperatures are usually warm and humid, and in the evening cold and frigid. It can get particularly cold (below zero °C) at night during May through September. It is important to note that weather is unpredictable in the Andes and there is always a possibility of encountering rain somewhere on the trail, regardless of season. Good waterproof rain gear is a must. Fog, particularly in the early morning, is also common at Machu Picchu so don’t be too disappointed if the citadel is shrouded in mist – it typically clears by the late morning / early afternoon. For detailed information on Machu Picchu weather, including useful historical rainfall, temperature and wind charts see our article best time to hike to Machu Picchu. 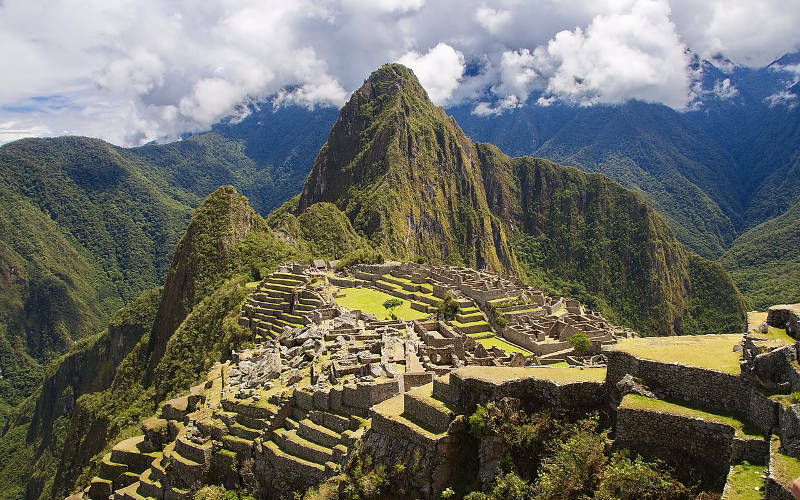 All Machu Picchu treks, except the Short Inca Trail, go over 4,000 meters in altitude. This is considered high altitude and does put you at risk of altitude sickness. 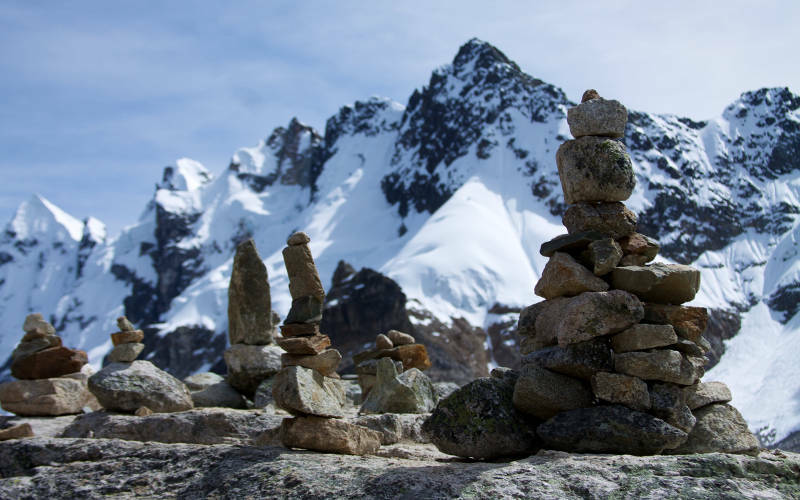 It is important that you understand the symptoms of altitude sickness and the process of acclimatisation in order to have a safe and enjoyable trekking experience. We encourage you to take a moment to read our detailed guide on altitude sickness and acclimatisation before you embark on your journey to Machu Picchu. It is also important to point out that many of the treks to Machu Picchu, including the Classic Inca Trail, are relatively challenging. To ensure you have the most enjoyable experience we recommend getting into good shape for your trek. Check out our article on training for Machu Picchu. There are a number of factors that drive cost variations on Machu Picchu treks, including time of year, tour operator vs. tour agent, private vs. group treks etc. The most obvious differences in price occur on the Inca Trail, where cost variations range from US$550 on the bottom end, to upwards of US$2,000 on the top end. 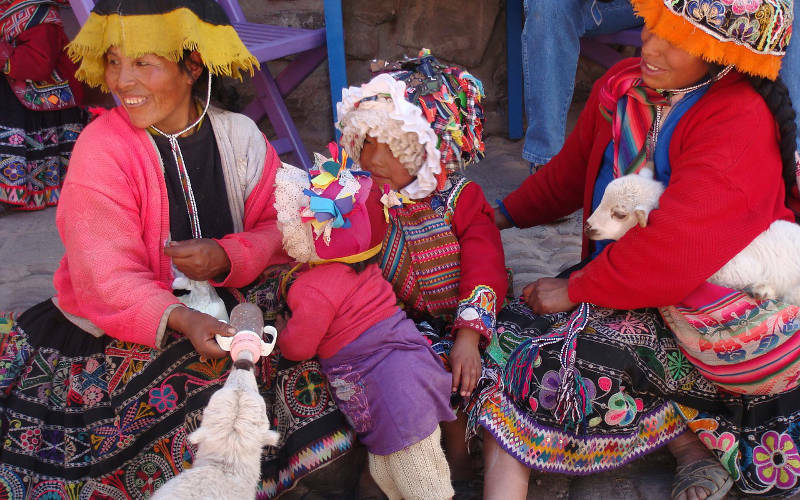 To understand why there is such a difference in prices from tour operator to tour operator please read our Inca Trail cost article, which breaks down the various costs and explains what you should be looking for in a reliable and high quality Inca Trail tour. Costs on the alternative treks to Machu Picchu are slightly different because these routes are unpermitted and hence much more diverse in the types of trekking companies and tour options on offer. We recommend budgeting between US$120-US$200 per person per day for an alternative trek in a small private group (2-5 people). Cost savings can be made by joining larger groups (upwards of 8 trekkers). Alternative treks can also be completed unsupported, which drives costs down a lot. The packing list for a Machu Picchu trek includes a number of critical items. 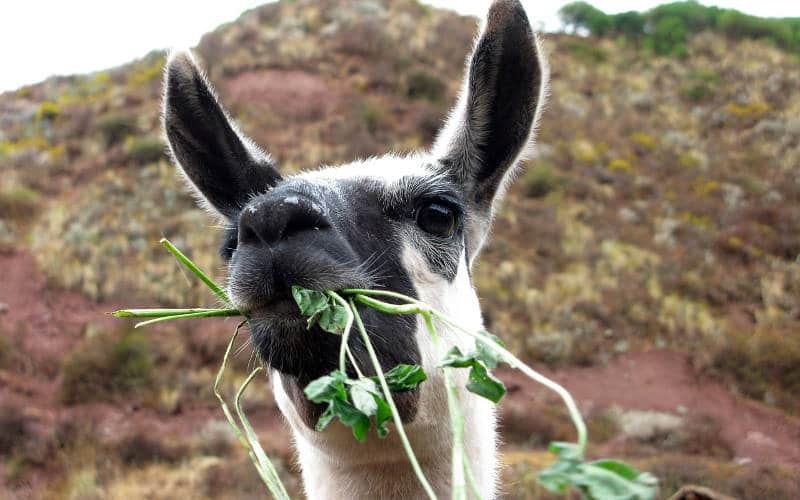 Some of these can be rented or bought in Cusco before your trek, but there are a few important pieces of gear that we recommend you bring with you to Peru. This detailed Inca Trail packing list for Machu Picchu provides very useful gear recommendations, and a printable packing list that has been tried, tested and refined by 1000s of trekkers to Machu Picchu. The packing list applies for all alternative treks as well, excluding the Inca Jungle trail where trekkers will not need a sleeping bag. 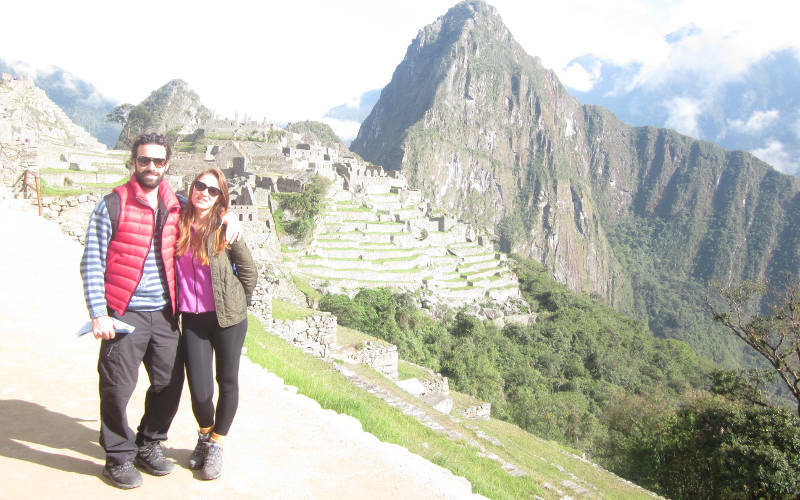 Proper travel insurance is a must for a Machu Picchu trek. Many tour operators will require you to have adequate trekking insurance. The risks of injury on a Machu Picchu trekking trail are relatively low, but if something does go wrong you will want adequate insurance to cover any emergency evacuation costs and medical expenses. You will need a policy that covers you up to and just beyond the maximum altitude you will be trekking (this is around 4,600 meters depending on which trail you are taking). High altitude cover is usually not a standard clause on travel insurance policies and needs to be added separately. We have written a detailed Machu Picchu trek insurance article that spells out exactly what type of trekking insurance you will need. Alternatively, use this insurance calculator to get an immediate quote. References: This site is maintained by a group of passionate trekkers and guides, many of whom live in Cusco and are experts on the trekking trails to Machu Picchu. Much of the site is based off personal experiences which are then cross-referenced with secondary sources like trail and travel guides (i.e. Trailblazer, Lonely Planet), and third party websites. If you find any inaccuracies on the site please contact us.